It’s official: potatoes are nutritious—inside and out. You may already be a potato lover for their taste and versatility, but here are the top 10 nutrition facts you might not know about Little Potatoes. The whole little Creamer is good for you. The skin and inside are both healthy, containing important nutrients, such as the antioxidant Vitamin C, and minerals, such as iron. That’s why Creamers are so appealing: their skin is soft, thin and packed with nutrients, so you don’t need to peel them. Enjoy the entire potato, including the skin. They aren’t high in calories or fattening. It’s the opposite, actually. Creamers are only 20 calories each (fully dressed). That’s less than 120 calories per serving. They’re fat-, gluten- and cholesterol-free—making them an easy addition no matter your health goal or dietary preference. Creamers are low-sodium: Watching your sodium intake? Most of our Creamers are naturally low in sodium. And because they taste great as is, no need to shake on the salt. A Do-Eat veggie: Because they have the complex carbs our bodies need for energy, potatoes are on the Atkins low-carb diet’s “Do Eat” list. Little Potatoes are a versatile vegetable. They are flavorful, naturally buttery tasting and creamy. Bake, microwave, roast, barbecue, fry, mash, purée or boil them. Toss them in soup, cook them into an egg skillet dish or use them to make a healthy crust for Shepherd’s Pie. Any way you serve them, you’ll be all the more healthy for it. 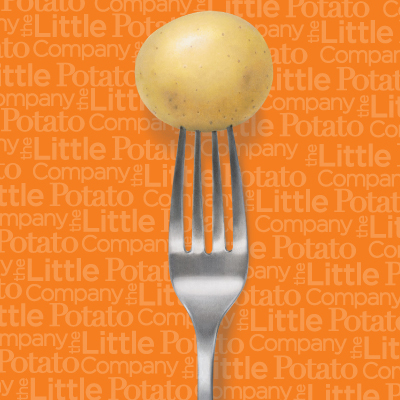 Do you have an interesting Little Potato fact to share? Get in touch!